Nail Art is very famous, because it gives a unique and elegant look to your hands. 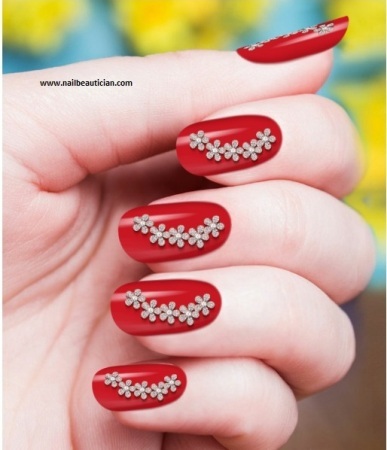 Wedding nail art is adopted by many brides, and this nail art contains more nail art accessory such as stones, pearls, glitters etc. Jewellery nail art is famous among the brides. 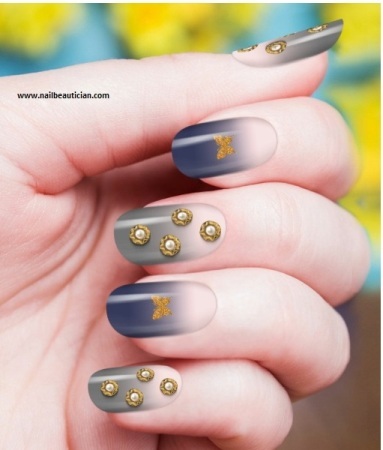 How to do Jewellery Nail Art? 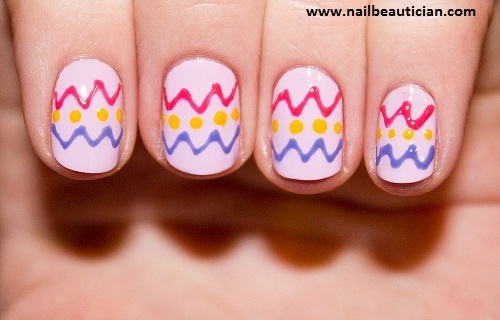 -Apply the base coat on the nails, let the base coat dry. -Now apply the desired nail color. -When the nail color dry, apply the nail glue on the nails. 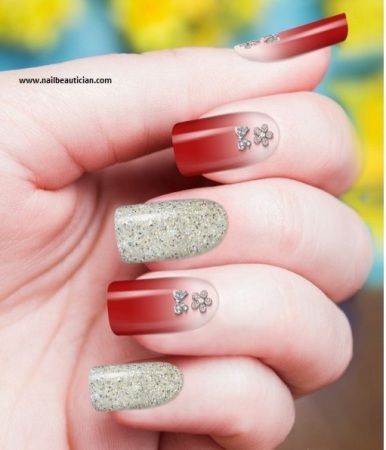 -Immediately grab a jewellery with the help of nail art tweezer and put it on the nails. -Apply the top coat for finishing. Here i am showing some of the best jewellery nail art ideas for weddings, especially for the brides.